Back Row: Jim Jackson, William Rolland, Chuck Cohen. National Philanthropy Day is always a special day to recognize and pay tribute to the great contributions that philanthropy — and those active in the philanthropic community — make to our lives, communities and world. 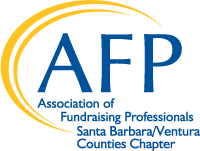 Annually in November, AFP Santa Barbara/Ventura Counties Chapter celebrates inspirational individuals, organizations and businesses in our community who generously give their time, talents and resources to all that philanthropy makes possible. Below you will find information on 2017 National Philanthropy Day honorees. 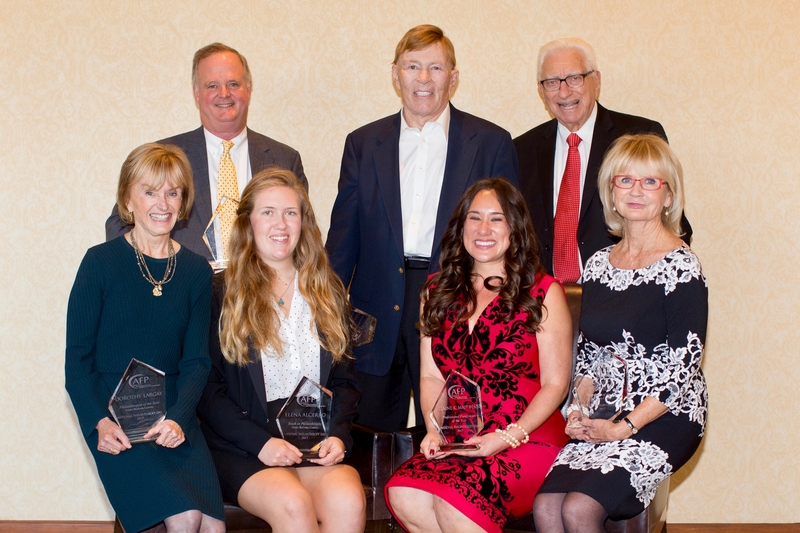 To view the complete list of National Philanthropy Day award recipients, click here. Dorothy Largay has a passion for and commitment to improving the lives of women and their families. In 2006, she founded the Linked Foundation, which is dedicated to improving the health and economic self-reliance of women in Latin America and the United States. Over the past 11 years, Linked has pioneered innovative delivery models for self-sustaining services to address the critical health needs of women and their families. The foundation’s microfinancing platform has helped to deliver much-needed healthcare, build small health stores in rural communities, and create low-cost diabetes, eye surgery, and maternity clinics. In addition to her work in Latin America, Dorothy has been an active volunteer and supporter of the Santa Barbara community. She has volunteered at Direct Relief for over 15 years, where she served as a board member and board chair. She is now on the Cottage Health board, working to advance community health initiatives. Some of her other community involvement includes University of California Santa Barbara’s Arts and Lectures, Planned Parenthood, the Santa Barbara Neighborhood Clinics, Girls Inc. of Carpinteria, and the Carpinteria Children’s Project. Eloise Olson Cohen is a graduate of California Lutheran University and Philips Graduate Institute and has been a resident of Thousand Oaks since 1963. She enjoyed a career in private practice at the Family Counseling Center of the Oaks and is currently Assistant Director of the Harold Stoner Clark Lectures at Cal Lutheran, as well as a photographic artist, community advocate, and volunteer for many local non- profits. Eloise serves on the Thousand Oaks Cultural Affairs Commission, the Thousand Oaks Alliance for the Arts, and the Thousand Oaks Library Foundation. In addition to working with Cal Lutheran’s development committee of the Center for Non Profit Management, Eloise is a member of the Casa Pacifica Angels, Angels of the Arts, and Ascension Lutheran Church. She is also a volunteer for an interfaith group providing assistance to local immigrants and refugees. Her awards include Named Gift Honoree and Past President of the American Association of University Women, Service to Alma Mater and Career Excellence Cal Lutheran, Community Conscience Mardi Gras Queen 2016, Paul Harris Fel- low and Unsung Hero from the Thousand Oaks Rotary, and Woman of the Year from the Conejo Las Virgenes Chamber of Commerce. Optimist Club. He was corporate attorney and board member of Conejo Symphony Orchestra, founding director of the New West Symphony and Alliance for the Arts, and chair of the “We Need a Place” campaign to raise the endowment for the Civic Arts Plaza. Chuck incorporated and served as advisor to the first Arts Council of the Conejo Valley, was board member of the Conejo Players, a committee member for Under One Roof Social Service Organization, served as legal counsel for the Renaissance Pleasure Faire and Camelot affordable housing task force, and provided pro bono legal counsel for Cabrillo Economic Development Rancho Sespe farm workers project. He is currently a board member of the McCrea Ranch Foundation, Casa Pacifica, KCLU-FM, and Cal State Channel Islands, and serves on the advisory committee for Community Conscience. 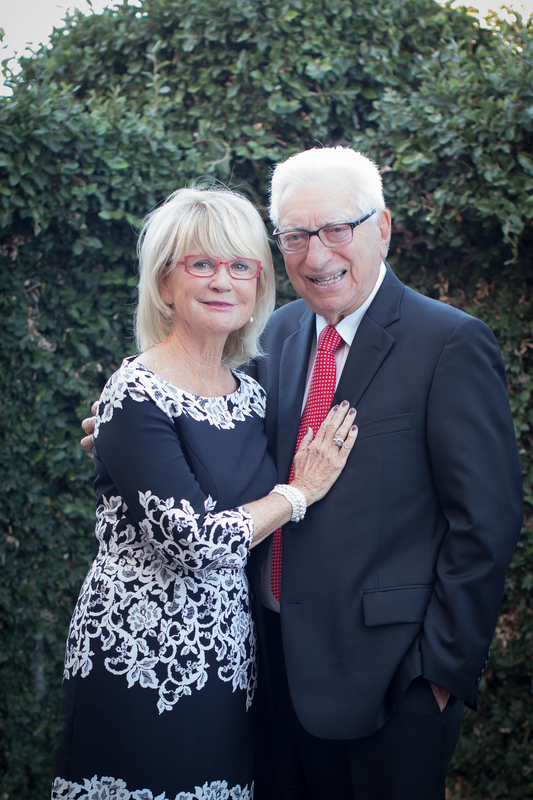 The Conejo Valley Chamber of Commerce named him Man of the Year 1990 for his service to the community, and, along with his wife, Eloise, he received the 2009 Lifetime Achievement in the Arts Award from the Alliance for the Arts. He received the Guardian Angel Award from Casa Pacifica and was named King of Mardi Gras in 2012 by Community Conscience. 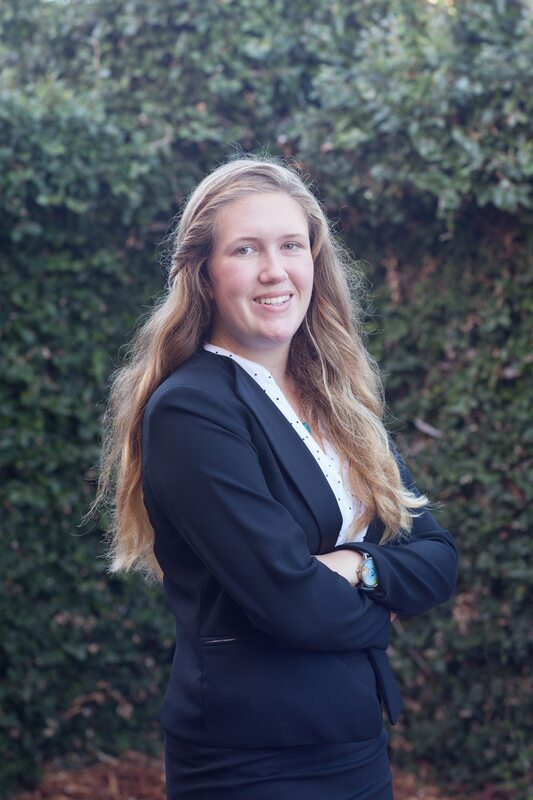 Elena Alcerro graduated in the spring from the Anacapa School and is now attending Loyola Marymount University in Los Angeles as an international relations major. Over the course of high school Elena went on six service trips in four countries with an organization called Rustic Pathways. On her trips she improved health centers and schools, taught in elementary schools, built a chicken coop for an entire village, worked on building houses and latrines, planted trees, and finished a septic system for a village to prevent contaminating the nearby river. In addition to her service abroad, Elena has helped Santa Barbara youth by volunteering at the Santa Barbara Public Library’s Homework Help Program and assistant-coaching an American Youth Soccer Organization u-9 boys soccer team. At Anacapa, Elena established a chapter of the organization Hands 4 Others with the goal of raising $10,000 to install a water filtration system in Honduras—the team reached its goal during the final week of her senior year. Now she is going on to start her own nonprofit, HUMAIN, to help elderly Haitian sugarcane workers in the Dominican Republic. William Rolland was born during the Great Depression, rising from humble beginnings to achieve great success as a self-made man. Drafted during the Korean War, Rolland later served as a Los Angeles City firefighter for 18 years. His firefighting career came to an abrupt end after he was buried alive attempting to save the life of a man trapped by the 1969 Mandeville Canyon mudslides. He received the department’s Medal of Valor for his heroic efforts as well as commendations from former California Governor Ronald Reagan and former President Richard Nixon. The career-ending injuries led Rolland to focus on his childhood fascination with architecture, automobiles, and art. During the next 40 years, he purchased and developed real estate throughout Southern California, and acquired a one-of-a-kind collection of automobiles and fine art. Using his wealth to help his community, he established the William Rolland Firefighters Foundation to provide aid to families of firefighters who are injured or lost their lives in the line of duty, and to their children with special needs. During the 1950s and 1960s, Rolland was part of the Chrysler race team that worked to construct one of the fastest vehicles ever built in pursuit of the land speed record at the Bonneville Salt Flats in Utah. He also began building and collecting cars from Hollywood movies. Today, his private collection includes more than 27 rare vehicles, ranging from 1930s and 1940s midget racers to custom hot rods to modern day Indy race cars and super cars. Rolland’s private collection of automotive works of art is complemented by his collection of fine art. From antique oil paintings to European bronze, his collection spans more than 500 years and originates from nearly every country in the world. The construction of the William Rolland Gallery of Fine Art in 2012 at California Lutheran University allows the collection to be shared with the world. The gallery, William Rolland Football and Soccer Stadium and the adjacent William Rolland Art Center (the university’s first visual arts complex) has made California Lutheran University a center for sports and arts, a community gathering place for years to come. Jim Jackson is a Santa Barbara native whose family has resided in Montecito for over 100 years. Since 2001, Jim has worked for Solvang’s Alisal Guest Ranch and Resort, a family business started by his grandfather in 1946. 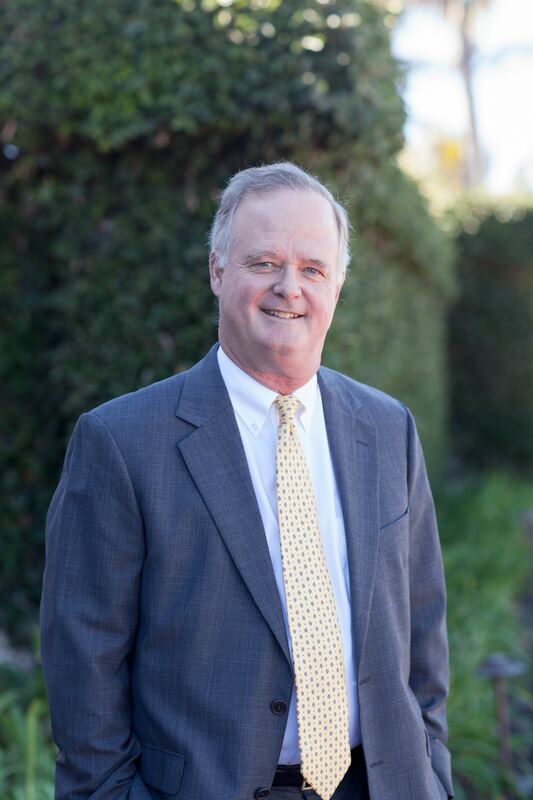 Currently serving as Vice President, Chief Operating Officer, Jim has also served for the past 20 years as a trustee of the Ann Jackson Family Foundation. Jim received his bachelor’s in English from Stanford University and then returned for his master’s degree from the Stanford Graduate School of Business. He worked in brand management for General Mills in Minneapolis, where he managed consumer brands such as Hamburger Helper, Kix, and Lucky Charms. Jim continued working in brand management at Nestlé USA in Glendale, where he managed Carnation Milk brands, Nestlé Toll House, and Nestlé Sweet Success, among other brands. Jim also worked as Vice President of Marketing for College Enterprises, a company that provided course materials, student ID card software, and reprographic services to more than 1000 college campuses nationwide. Jim has been a member and former chair of the board of the Braille Institute of America and served on the board of Laguna Blanca School’s board for 14 years. 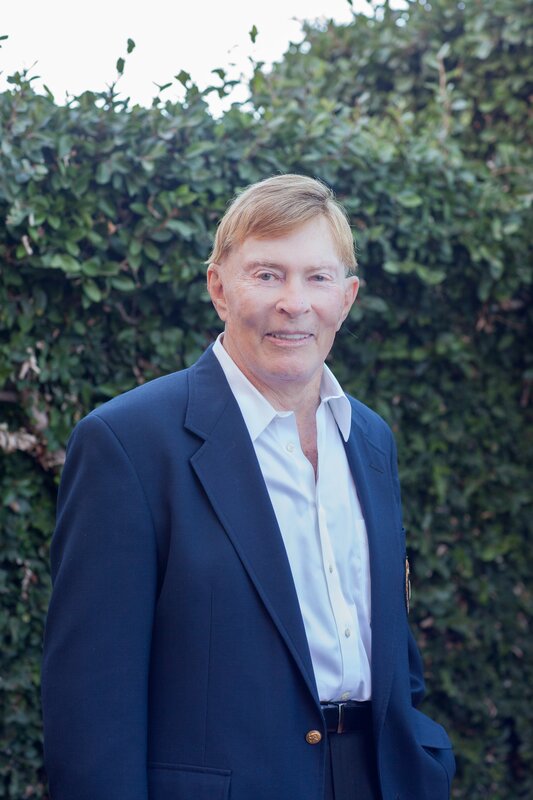 He is currently serving his 14th year on the board of the Cancer Center/Cancer Foundation of Santa Barbara, where he has co-chaired the campaign steering committee in its efforts to fund the newly completed Elings Oncology building for the recently renamed Ridley Tree Cancer Center. Jim also served on the board of Direct Relief, co-chaired the campaign to rebuild the children’s wing of the Santa Barbara Public Library, and served on the capital campaign for the cabinets of All Saints-by-the-Sea Episcopal Church and Child Abuse Listening Mediation (CALM). Elaine K. Mah Best is the Director of Development at the beautiful Santa Barbara Zoo. Since joining in 2009, Elaine has led the effort to raise more than $20 million in donations in support of the Zoo’s operations and priority projects including saving condors from extinction, opening an education and conservation center, creating a children’s garden, providing enrichment for the Zoo animals, providing educational outreach in the community, funding a giraffe barn, and bringing three (soon to be four) dinosaurs to the Zoo. 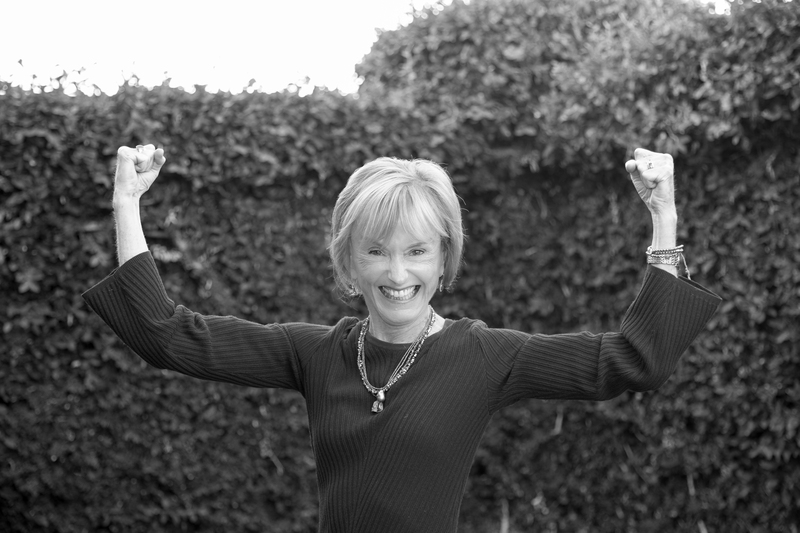 Elaine’s fundraising career, which began in 2000, has included positions at San Dominico School, Girl Scouts of Tres Condados, SEE International, PathPoint, and the Santa Barbara Zoo. Elaine is the Immediate Past President of the Association of Fundraising Professionals, Santa Barbara/Ventura Counties Chapter, a past board member and current sustaining member of the Junior League of Santa Barbara, and a member of the Association of Zoos and Aquariums. 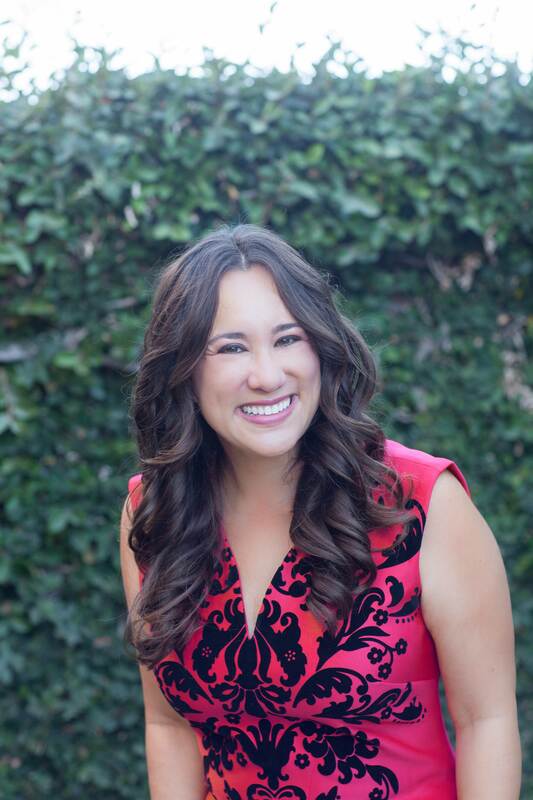 Elaine has been recognized by the Pacific Coast Business Times as a top 40 under 40 young professional and by the Junior League of Santa Barbara with the League Rose. Elaine, her husband, Mike, and their eight year old son, Ethan, live in Santa Barbara along with their “shelled” member of the family, Leroy Brown, a California desert tortoise.